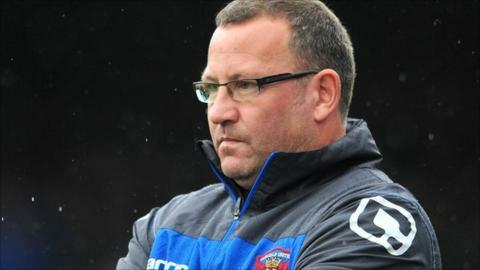 Carlisle United manager Greg Abbott has said funds need to be freed up by departures before new signings can be made at Brunton Park. while striker Paddy Madden joined Yeovil. "I can't do anything unless somebody takes one of the fringe players, the finances have to add up. "The [crowd of] 3,800 today isn't going to give us the revenue to do anything else," Abbott told BBC Radio Cumbria." He added: "So, if people want to come in for ours, we have got a list of two or three that we would like to do, then we can make them happen. "If not we have to wait until the budget comes at the end of the season and do it then."